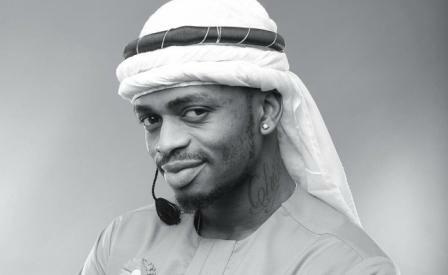 Home BIOGRAPHY NET WORTH PHOTOS Prezzo Kenya Biography, Net Worth, Photos, Music & Wedding. Prezzo Kenya Biography, Net Worth, Photos, Music & Wedding. Prezzo Kenya. Jackson Makini popularly known as ‘Prezzo’ is a kenyan controversial hip hop musician. Prezzo was born and raised in Eastleigh estate. Her mother Dinna Makini raised him as his father died in 1993. Prezzo was exposed to music at a very early age. His first album was released in 2004. He released his “Naleta Action” album with award winning tunes like: ‘Naleta Action’, ‘Leo ni Leo’, ‘Mimi na Wewe”Let’s Get Down’, ‘Mahangaiko’, ‘Mafans’ and ‘Tazama Mbele’. He also participated in the seventh season of reality competition of big brother Africa in 2012 where he emerged as the first runners up. His wife Daisy Jematia Kiplagat claimed that Prezzo left their matrimonial home and after a week, she saw an article in the newspapers that he was in a relationship with Joy Wanjohi. As Prezzo represented Kenya in the Big Brother House in 2012 he set off an affair with the late Nigerian housemate Goldie Harvey who died in Lagos on February 14 after a short illness. Prezzo was publicly criticized by audience when he tried to fondle betty Kyalo in a live television interview where his mother condemned the act and apologized to Betty. Prezzo and Daisy Jematia Kiplagat solemnised their marriage on December 2008 at Karen Country Lodge. His wife Daisy Jematia Kiplagat filed for divorce in May 2012 accusing Prezzo of committing adultery and physical abuse on her but Prezzo did not defend it. The High Court Judge Luka Kimaru granted Daisy’s application and ordered Prezzo to pay a monthly upkeep of Sh50,000 for their baby born in March 2009. They had separated since November 2011.